What does “No Fee” rental apartments really mean? If you've been hunting for a rental apartment or lived in an apartment in New York City, especially Manhattan, you know that New York City rental apartment brokers charge a considerable fee. So do apartment information vendors or "AIVs". 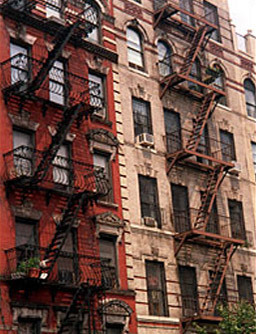 Rental apartment information vendors provide rental apartment seekers with a list of available to rent New York apartments. But AIVs often copy these apartment listings straight from classified ads in local newspapers or from websites like ours. Then they charge you upwards of $150.00 per month for their services. Unfortunately, the listings are sometimes stale and inaccurate. Nofeerentals.com - owns and leases 50 properties that are managed by Jakobson Properties, LLC, a third generation family business located in downtown Manhattan near New York University. We rent apartments -- short term, ultra short term, and long term -- directly to you with no middleman. We update our availabilities five days a week, and we indicate the date and time of the latest update at the top of the listings page printout. But best of all, our list of available rental apartments is completely free. Visit as often as you like and see whats new. Thats what "No Fee" rental apartments should mean!